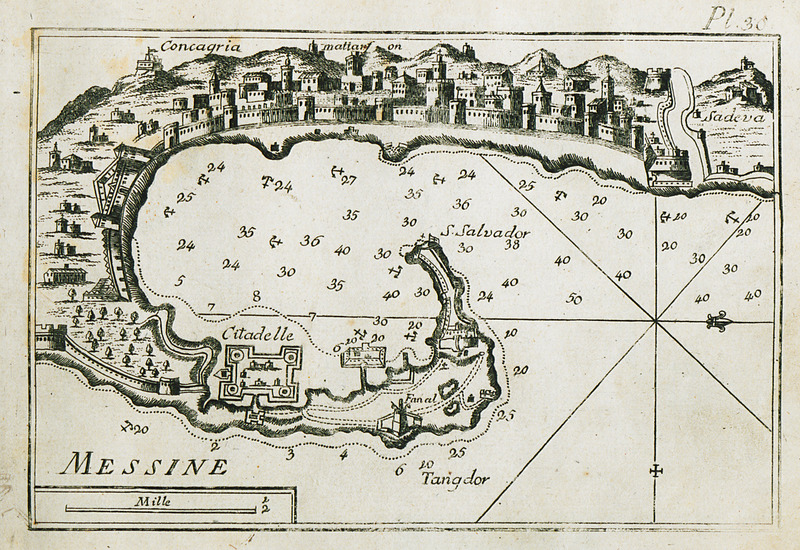 Map of the bay and port of Messina (anc. Zagle) in Sicily. View of the city. 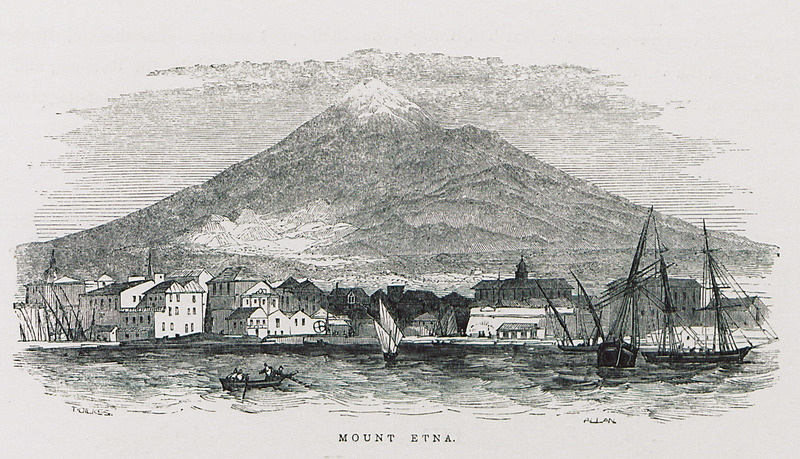 View of Messina in Sicily. In the background Mount Etna. Nautical chart of the bay of Messina, Sicily. 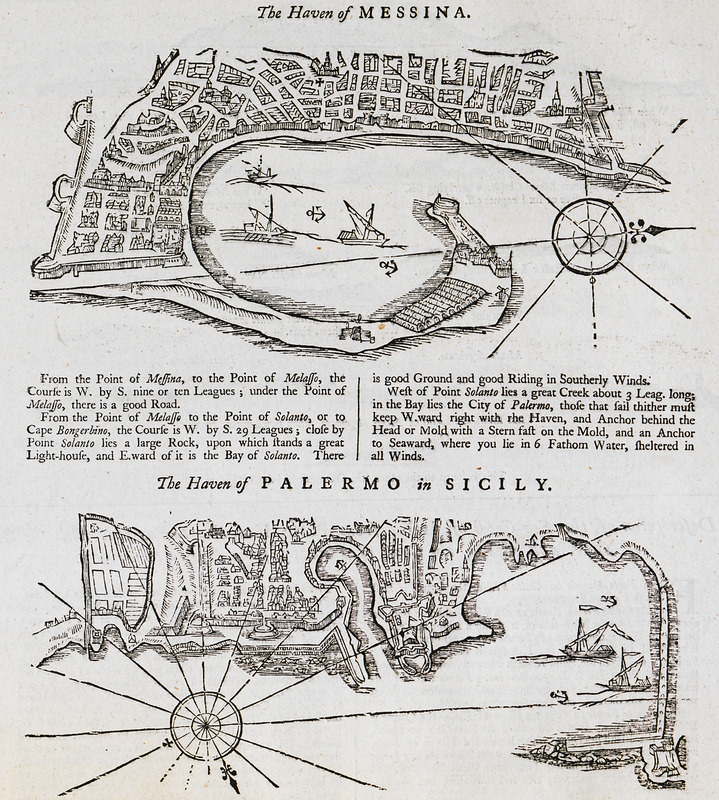 Nautical chart of the port of Palermo, Sicily.